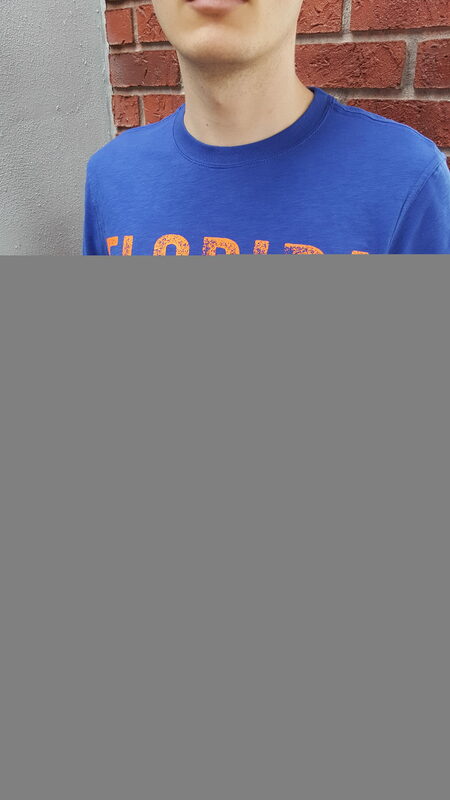 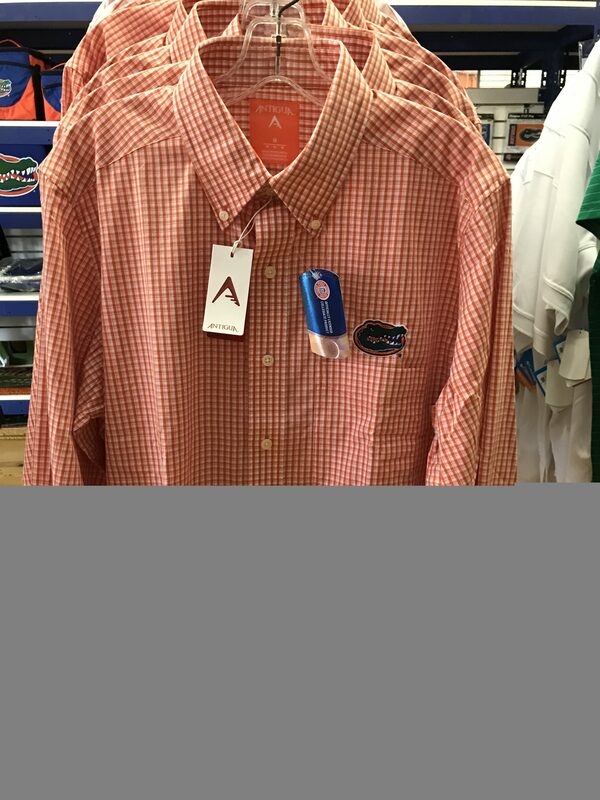 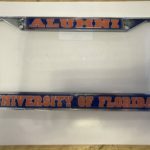 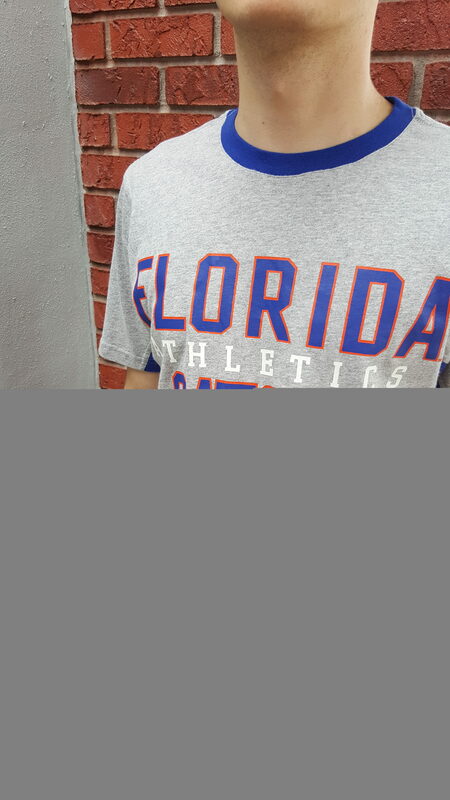 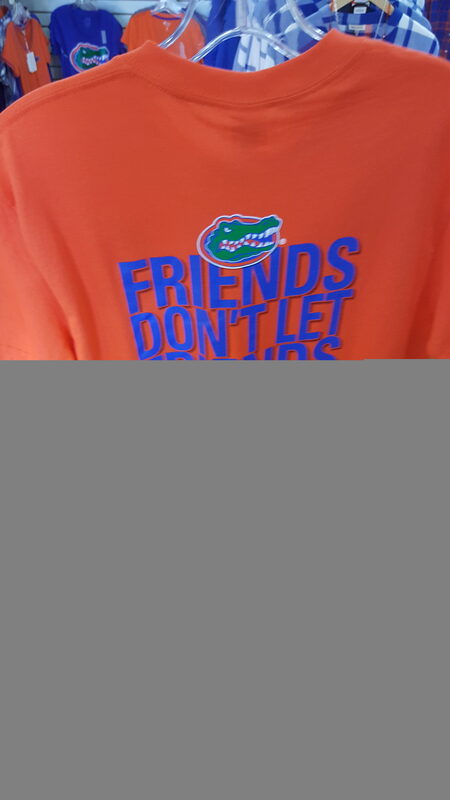 Florida Gators button down long sleeve shirt. 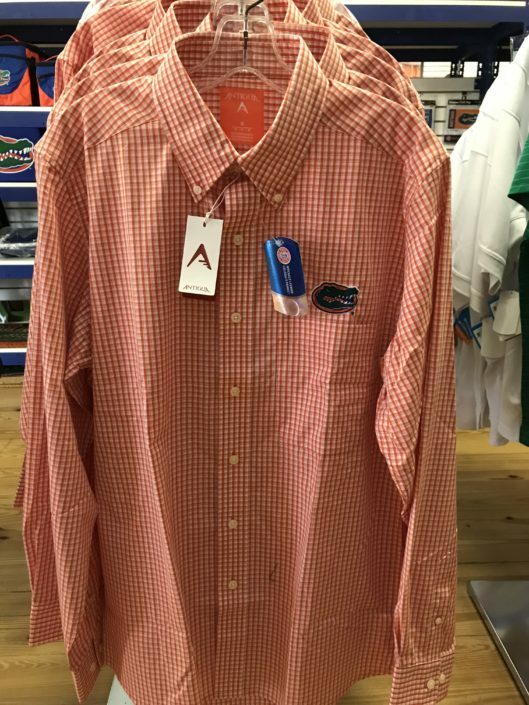 Florida Gators button down long sleeve shirt. 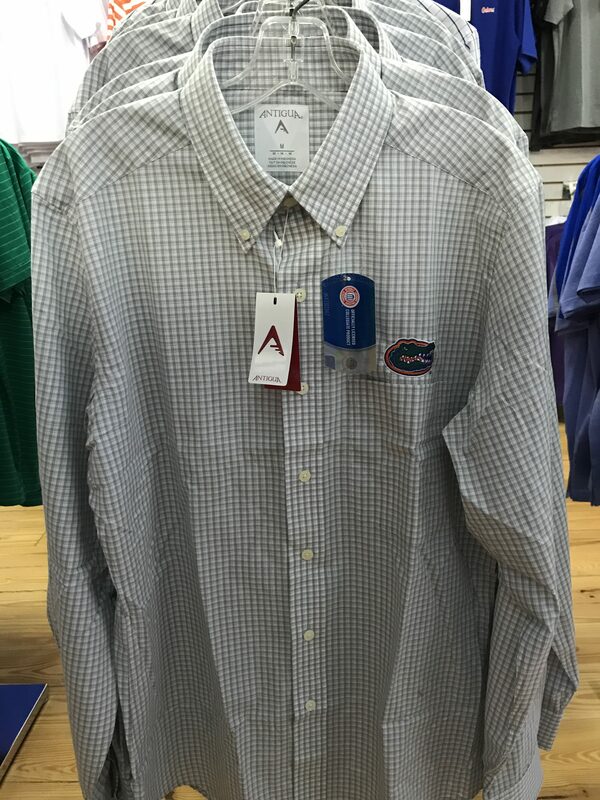 60% cotton, 40% polyester yarn dye plaid pattern dress shirt. 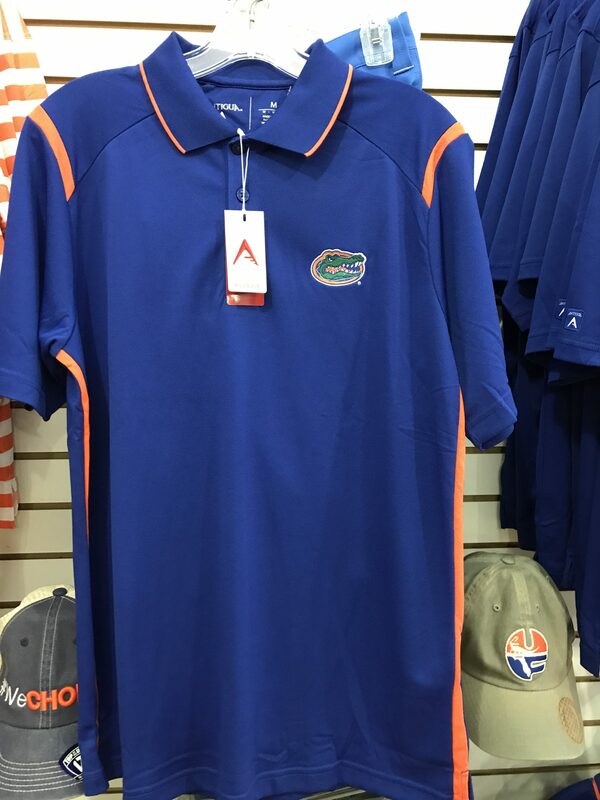 Same fabric chest pocket, cuffs, and collar. 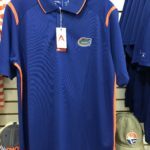 Embroidered logo above chest pocket by Antigua.